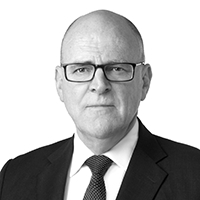 Frank worked for 12 years with the Australian Taxation Office and was with Corrs Chambers Westgarth for 16 years, 9 as a partner, that included roles as a Practice Group Leader and as a Board Member. Frank has been a member of the Victorian Bar since 2003. Frank practices principally in Commonwealth taxation law. He does appearance work in Courts, Tribunal work as a Deputy President, advice work, and assists in resolving taxation disputes in various styles of alternative dispute resolution processes, as an advocate or as a mediator/conciliator, across a broad range of taxation matters. a former CPA Australia Disciplinary Tribunal Chair and Deputy-Chair.